In-flight remote activation of COSPAS-SARSAT distress beacon thanks to Galileo Return-Link Service: a solution to MH370 disappearance? GRICAS demonstrates its feasibility! After the success of the demonstration in Barcelona in April 2017, two more field trials have been conducted over the past 10 days, using the GRICAS SGB ELT(DT) on-board an aircraft to automatically trigger the transmission of distress signals. The 4 RLM were sent to the GRICAS SGB ELT(DT) installed on-board the flying test airplanes used for the field trials. The first field trial took place at the Aeroclub of Sabadell near Barcelona, on-board the same Cessna 182 used in April 2017. 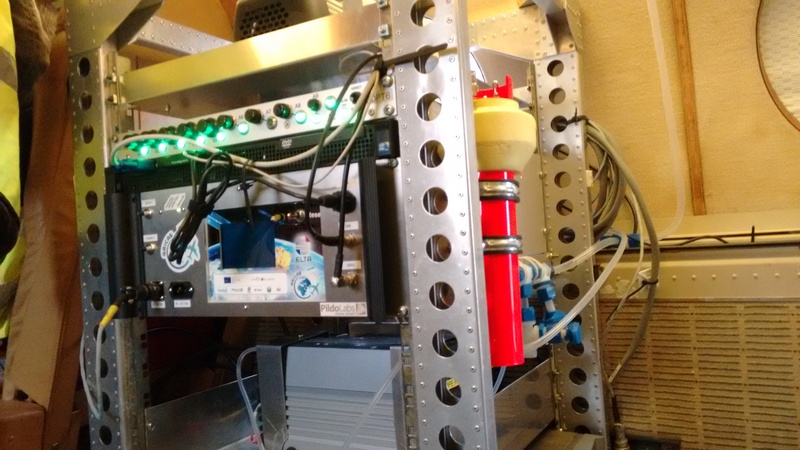 The 4 GRICAS Return-Link test cases were successfully transmitted and received by the beacon and the whole GRICAS operational concept was validated. It is to be noted that the automatic activation scenario was fully automatic, with a triggering command sent to the beacon by the Beacon Activation Logic (or Triggering Logic) under a unusual altitude criteria detected thanks to the internal GNSS receiver of the beacon. 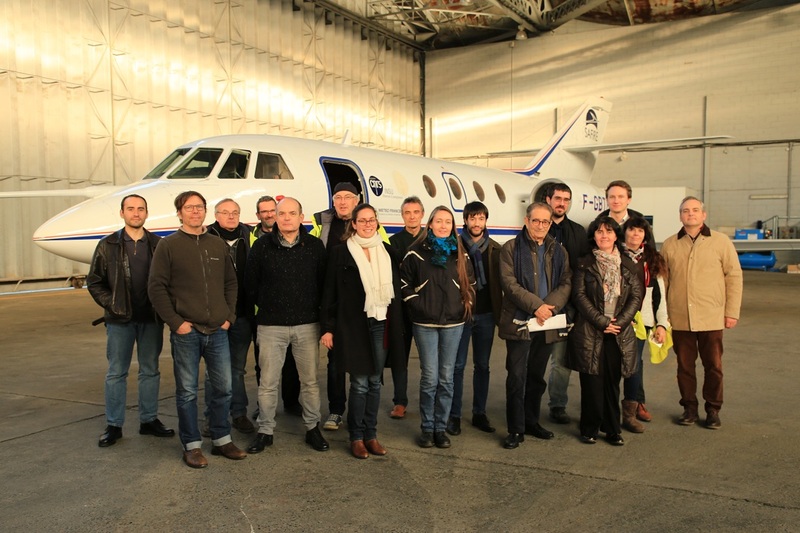 The 6th of December, the second field trial was conducted in Toulouse, on-board a Falcon 20 provided by SAFIRE (lien). The same scenarios were successfully completed, using automatic trigger based on an altitude threshold and the Galileo Return-Link Service. The test was even more ambitious this time, as the test airplane flew above 10.000 m (32.800 ft) with a typical cruise velocity of 800 km/h, which corresponds to an altitude and a speed representative of a commercial aircraft (A320 for example) specifically identified as the target of the GADSS concept of ICAO.